Families starting the college search in Illinois should start by visiting the Illinois Student Assistance Commission (ISAC) Student Portal. It contains information on Illinois scholarship programs and an Illinois Monetary Award Program (MAP) estimator. It also has an online financial aid comparison worksheet that includes a field for entering your EFC. The website includes a general 4 Steps to College Checklist without any year-by-year steps. The College Match tool is pretty basic. Users enter their ACT score and GPA and the receive a list of colleges. There isn’t any information associated with the colleges, they just link to the college website. The website does have an Outreach Activities Calendar ISAC sponsors including a FAFSA Completion Workshop. The Counselors section of the ISAC website is worth a visit as well. It includes information on the transcript exchange for Illinois schools, a Map of Illinois Colleges, and a Handbook of Illinois Postsecondary Institutions. Potential transfer students should visit the iTransfer website for more information on both public and private schools. There are 54 Illinois colleges with 500 or more full-time undergraduates. Of the 203,272 students, 42% attend the 10 public institutions in the state compared to the 58% at Illinois’ 45 private colleges. 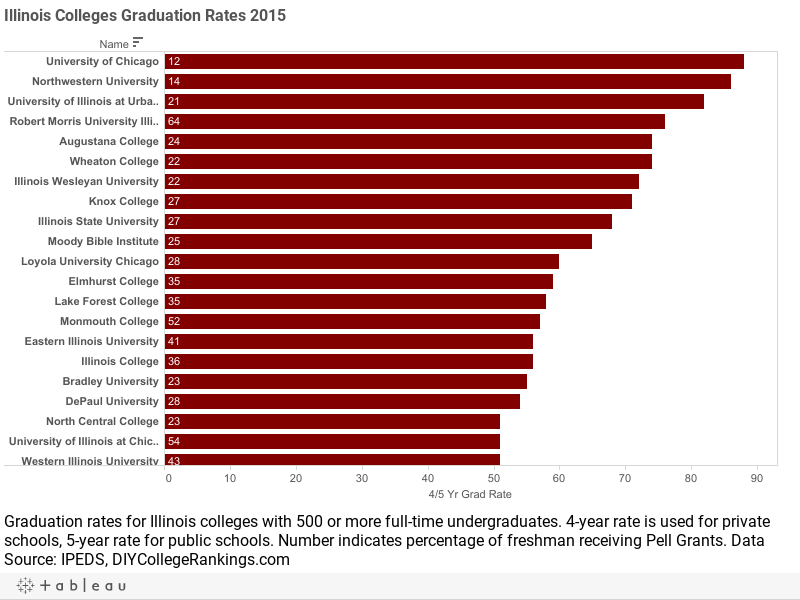 The average four-year graduation rate for private Illinois colleges is 47% and the five-year rate for public-institutions with available information is 41.3%. 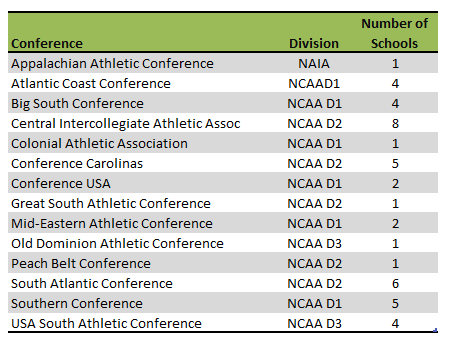 A total of 21 schools meet the DIY College Rankings 50-50 profile requirements. In Illinois, the average Composite ACT score was 20.7. The English scores was 20.3 and the Math score was 20.7. The 75th% Composite score was 25, English was 25, and Math was 25. A total of 36 Illinois colleges ACT 75th% Composite scores were at or above this level.